SAN DIEGO, Calif. (September 24, 2018) – Irvine Company has made another strategic investment in San Diego, acquiring three buildings located at 4401, 4435, and 4445 Eastgate Mall, formerly known as Sunroad Corporate Centre. The company has renamed the 302,000-square-foot campus La Jolla Reserve. The seller is Sunroad Enterprises. The sales price was not disclosed. La Jolla Reserve is located near several Irvine Company workplace communities, including The Plaza, One La Jolla Center, La Jolla Square, La Jolla Center, La Jolla Gateway, Eastgate and other best-in-class office and apartment projects. 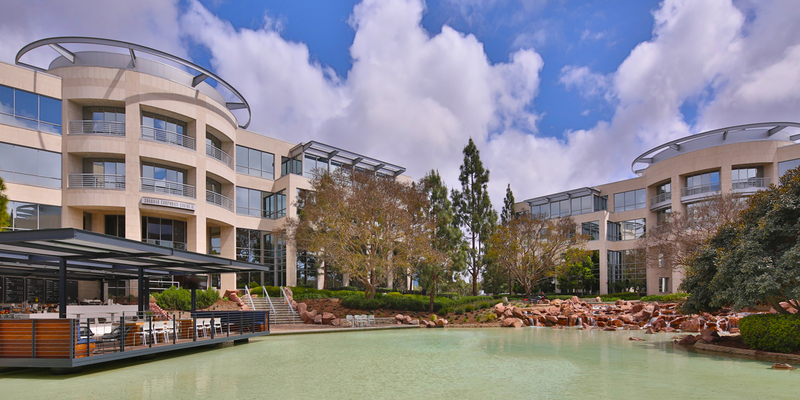 Built in 2001, La Jolla Reserve is 78-percent leased to industry leading companies, including Banner Bank, Cooley LLP, Provident Insurance Group, Regus, Shell and Systran. In January, Irvine Company purchased Gateway at Torrey Hills. In September of 2017, the company acquired nearby Township 14. Company officials said La Jolla Reserve’s distinctive architecture, elegant landscaping and passive recreational spaces, flexible floor plates, modern interior features, attractive location, and ample on-site parking made it an outstanding acquisition target. Other amenities include a new outdoor café, contemporary game room and a fitness studio with spa-like showers and a changing room. Irvine Company plans significant reinvestment to enhance two lobbies and transform indoor and outdoor common areas into vibrant shared work spaces designed to encourage collaboration and innovation. La Jolla Reserve is located near three major freeways – the 5, 8 and 805 – and is a short walk to the newly revitalized Westfield UTC and the Executive Drive trolley station. Kevin Shannon and Brunson Howard of Newmark Knight Frank based in San Diego handled negotiations on behalf of the seller, an institutional real estate investor, Sunroad Enterprises. Irvine Company also owns six Class A towers in Downtown: One America Plaza, 101 West Broadway, 225 Broadway, 501 West Broadway, Symphony Tower and Wells Fargo Plaza. It also owns workplace communities in Sorrento Mesa and Mission Valley.